Winning new business means responding quickly and efficiently to bid and quote requests. 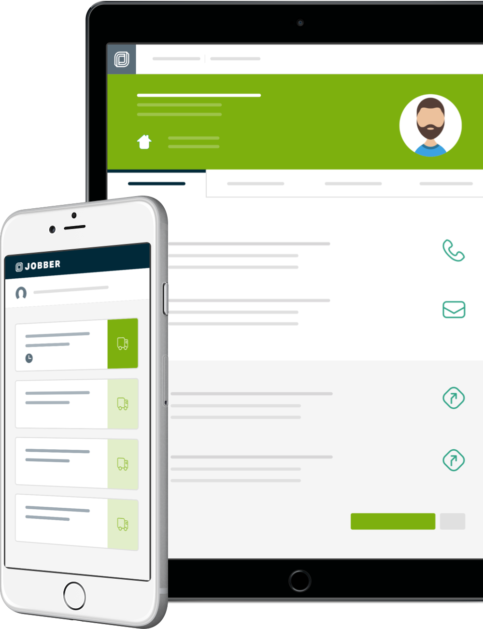 Jobber lets you create, send, and follow up on quotes in the field or back at the office in just a few clicks. At a glance, see which jobs are coming up and which need to be scheduled. With filters and color coding options, you can organize every visit, task, and reminder in your schedule. Your team will receive real-time updates in the Jobber app if their schedule changes, so they will always know exactly where they need to be. Impress potential clients with detailed, professional quotes. You work hard to get leads, and Jobber quotes help you make the most of these new business opportunities. Customize Jobber quotes with your company branding, and easily include important details such as discounts, required deposits, and contract terms. If a client requests an updated quote while you’re out in the field, no problem. You can edit, create, and send quotes all from the Jobber app on your phone. Being busy no longer means invoices slipping through the cracks. Invoicing is easier, and so is getting paid, with Jobber’s customizable invoicing process. Eliminate double entry by using Jobber to seamlessly move a completed job’s line items and costs into a ready-to-deliver invoice format. Jobber reminds you to create and send invoices, and tracks invoices sent, paid, and past due. Your clients are one of the most important parts of your business and that’s why you need an organized client history. With Jobber you’ll see past quotes, jobs, visits, invoices, and a full billing history associated with each of your clients. If clients want you to charge them automatically when work is done, Jobber Payments allows you to securely vault their credit card information.